For a taste of rural life in Venezuela, a visit to the sleepy mountain village of Galipán offers a stark contrast to bustling Caracas, despite being just 15km north of the city. Perched on the mountainside at 1870 meters, Galipán is best reached by 4WD, either direct from the city or in combination with a ride on the Caracas cable car, and it’s a jaw-droppingly scenic drive, serving up magnificent views of the city below. 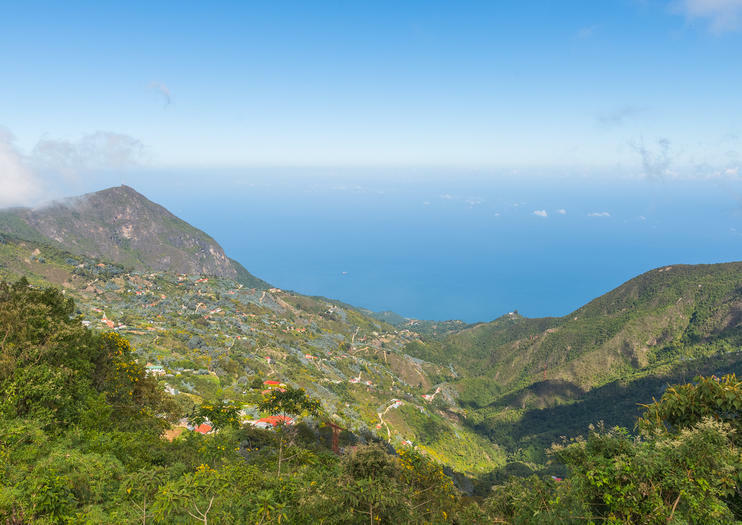 Established by the first settlers from the Canary Islands, the village is now home to a small community of around 2,500 inhabitants and welcomes a steady stream of tourists from Caracas. Visitors can stroll the village streets and admire the church, school and central plaza, all built into the mountainside; tuck into regional specialties at a local restaurant; or browse the many roadside stalls, selling traditional handicrafts, fresh strawberries and cream, and homemade jams, juices and sweets. Galipán is located in the Avila Mountains of the El Ávila national park, 20km north of downtown Caracas, and can only be reached by 4WD. Escape the hustle and bustle of Caracas and experience El Ávila National Park on this guided half-day tour. Explore this mountainous seaside park in a 4x4 and ride to its summit for impressive views of the Caribbean and Caracas. Check out the landmark Humboldt Hotel and the picturesque village of Galipan, founded by settlers from the Canary Islands, while learning about these fascinating sites from an informative guide.